What is Our Church Life? Our Church Life is an online tool that gives members of WHUMC the ability to access membership information online. 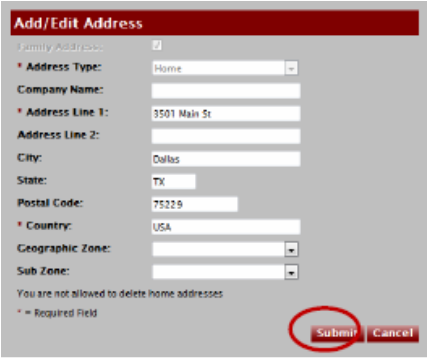 Today you can see and edit your contact information, user settings and preferences and view or print a directory. There are other features related to Groups (Sunday School class rosters, committee rosters and other groups that you can contact through the tool) that will be available in the future. The first time you access Our Church Life, click "Need a Login." On the next page, enter your e-mail address and name. Click "Find Me." At this time, an e-mail address is required to access ​Our Church Life. ​If you are found in the database, you will see this message on the right and receive an e-mail with your User ID and temporary password. If the e-mail address is not found, you will see a message asking you to try again with a different e-mail address. If your name is not found, you will be returned to the login screen. Click Report a Problem (top right hand corner of the page); explain the problem. Someone in the Church Office will contact you. 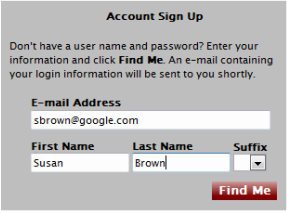 Once you receive the system-generated e-mail with your ID and temporary password, click the link in the e-mail to sign in. The first time you login, you will be prompted to create a new password. The password must be between 6 and 15 characters long. It cannot contain a sequence of consecutive (example: 123456) or repeated (example: 111111) characters. Your member home page is displayed after your login is successful. ​Click My Community Profile to access your profile information. You are now on the page that displays all your information that is currently available in the Church database. If any of it is incorrect, you are able to change it. To edit information, click the pencil symbol that will bring up the edit screen. Or to add information not already in your account, click the add button to the right of the item. ​Once you have corrected the information, click Submit. ​Your updated information will not be available for a few days, as someone​ on the Church staff must approve all changes. NOTE: You cannot delete any information in a profile. If you want data deleted, click the Report a Problem at the top of the page. Include your name, information to delete and why it should be deleted. Someone in the Church Office will remove the data and notify you when it is complete. Hover over Home and select My Account. Click Change across from Password. ​On the Account Settings tab, enter your Current Password and your New Password. Then click Save. What you see is also what others who search our Directory can possibly see. ​You can hide information from other congregational members. ​ Hover over Home and select My Account. Click the Personal Preferences tab. Uncheck information/photos you don’t want displayed in the Directory or in Our Church Life for others to see. Click Save. These take effect instantly and do not require staff approval. You can search for a member’s address, phone number and e-mail address. Hover over Home. Select My Overview. In the Search section, enter the Last Name and/or First Name of the member. Then click Search. Results will be displayed. You can print a directory of individual members or families. Hover over Home and select Directories. Then click Directories in the dropdown menu. Select the type of directory to print. The Directory is displayed. Click Print. From anywhere in Our Church Life, click Sign Out at the top right hand corner of the page. Our Church Life can be accessed by a mobile device and is a free application. You must set up your ID and Password on a PC or Mac before loading it to your mobile device. And you must use the same e-mail address and password on your mobile device. To set up on iPhones, iPads or iPods, open the App Store on your device. Search for ACS Church Life. To set up on Androids, open Google Play on your device. Search for ACS Church Life.